The implementing consortium comprises 4 partners from eligible regions, with each partner contributing through its specific expertise to the overall goal of the project. It’s composed of two institutions from EU Mediterranean countries (ICU and Po basin Authority, from Italy) and the Ministries of Agriculture (MoA) and/or governmental institutions of three Mediterranean Partner Countries: NCARE in Jordan, MoA in Lebanon and Tunisia. In all three target countries the partner institutions are the legally responsible to plan and conduct agricultural extension on a national scale and are therefore the logical partner with regard to sustainability and dissemination of results of a project aiming at introduction of innovative technology and solutions in irrigated agriculture, and conduction of training measures on a larger scale. 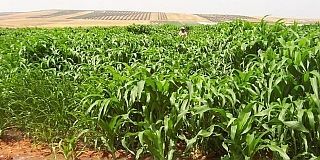 The MoAs as project partner in Lebanon and Tunisia, and to a lesser extent NCARE as a governmental institution related to the MoA of Jordan, are the institutions developing and implementing the National Agricultural Master Plans (NAMPs), and defining policies in a national context. They have the legal mandate and authority, technical expertise, and human resources to guarantee successful project implementation and sustainability. All three institutions were actively involved in project preparation and have included the issues of water-use efficiency and increased use of waste-water for agricultural irrigation in their long-term NAMPs. The partners are recognized by farmers in the target areas, can build on their experience and capacities to mobilize the target groups and other national stakeholders, and to disseminate the project results. 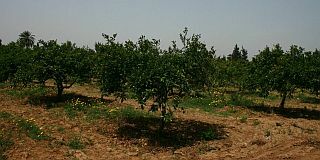 In Tunisia the partner DG GRRE is also involved in the issue from a legislative point of view, being the national institution entitled to prepare and propose laws and regulations related to the promotion and the development of the agricultural sector and use of the conventional and non-conventional hydraulic resources. The DG GREE is already responsible for management of large perimeters irrigated with treated WW and will bring its experience in the sector in the project. ICU, as leader partner, has proven experience in the successful management of similar projects in the target area, funded by the EC, has established excellent working relationships with the main stakeholders involved in the sector in Lebanon and Jordan, will provide necessary key human resources from its pool of experts, and mobilize backstopping facilities through support from headquarters and local offices. Po river basin Authority (AdbPo) is the biggest river basin authority in Italy with excellent experience in water management at basin level, included the re-use of wastewater. Po river basin Authority has set strategic objectives regarding the quality requirements of treated wastewater for use in agriculture in its mandate area that have been incorporated in regional water protection plans. At European level, the partner is participating in work-groups, dealing with Climate Change, Water Scarcity and Droughts topics. AdbPo has been included in the Expert Group (EG) and Technical Working Group (TWG) on Water Scarcity and Droughts. The TWG is now specifically working on the Water Exploitation Index (WEI = total abstraction over Long Term Annual Average (LTAA) availability).The regular use of this index can steer water policies towards better sustainability of water uses in the long term, and can be used to evaluate actual policies impacts in the long term, via simulation of water resources availability as estimated with climate change scenarios. AdbPo will participate in activities to adapt this index to the water scenarios in the target countries. How will the single partners contribute to reaching ACCBAT objectives? 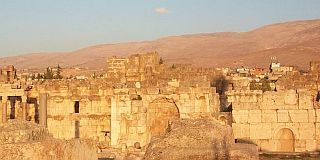 ICU (Istituto per la Cooperazione Universitaria) is working as an NGO world-wide since 1971, and in particular in the Middle-East, having local offices in Lebanon, Jordan and Syria. Expertise has been developed in rural development, institutional capacity-building and management of natural resources, in particular water resources. As leader partner ICU has the overall responsibility for project management, coordination, and leadership. facilitating and giving administrative support to all interactions with local governmental institutions and authorities, in particular with all other governmental institutions involved in agricultural extension on a national and regional level. 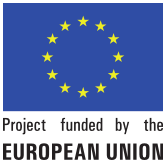 planning and conduction of public awareness raising, dissemination, and visibility activities, foreseen by the project and will take responsibility for the project web-site in collaboration with the applicant.